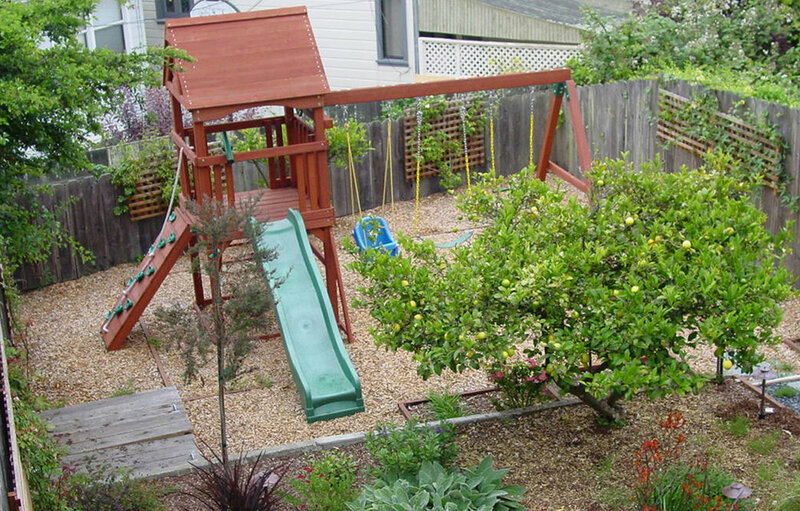 This overgrown, rectangular yard in San Francisco is home to a young couple, their 3-year-old daughter, and twins that were on the way. Typical of many San Francisco yards, it is accessed from the back deck down a long set of stairs. The client wanted to be able to spend quality time in the yard with her two new babies and toddler. The design includes a play structure, a covered sand box, a small raised planter for playing in the dirt. Due to the limited space, several trellises were added to the side and back fence so that vines could add color surrounding the new play area. 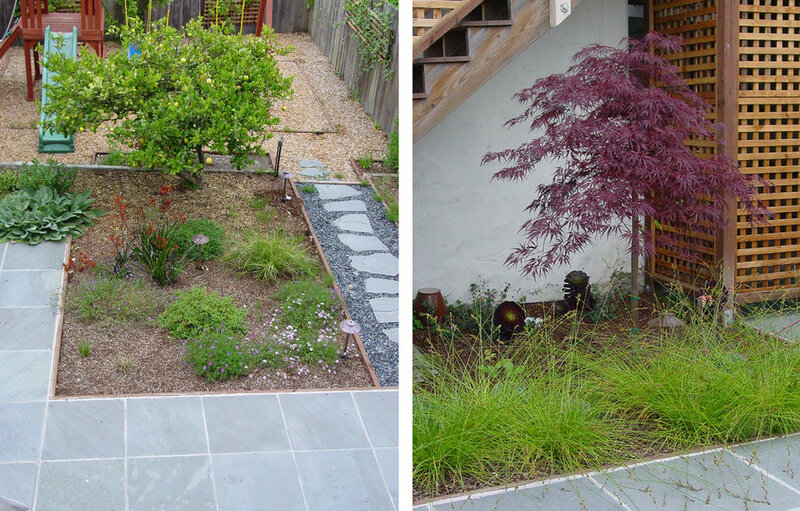 Covering an existing concrete pad with cut Connecticut Bluestone enhanced the adult seating area and was surrounded by low maintenance colorful planting beds. 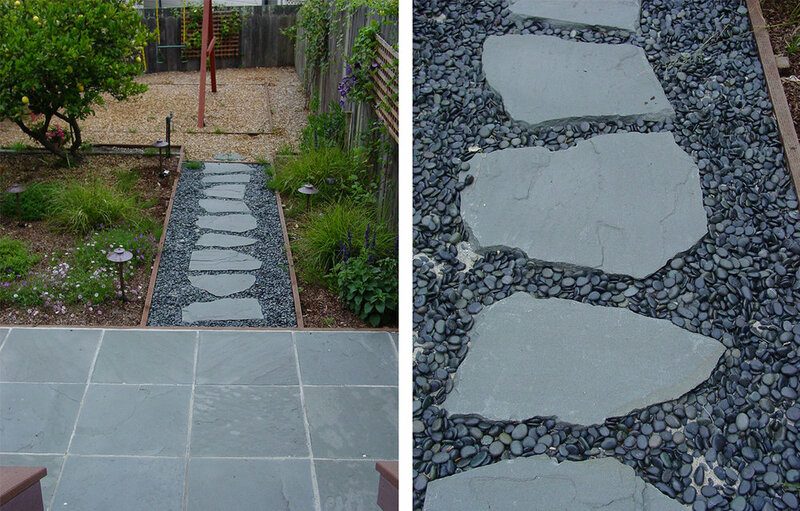 A simple but beautiful walkway of stones set in lose pebbles connects these two use areas. 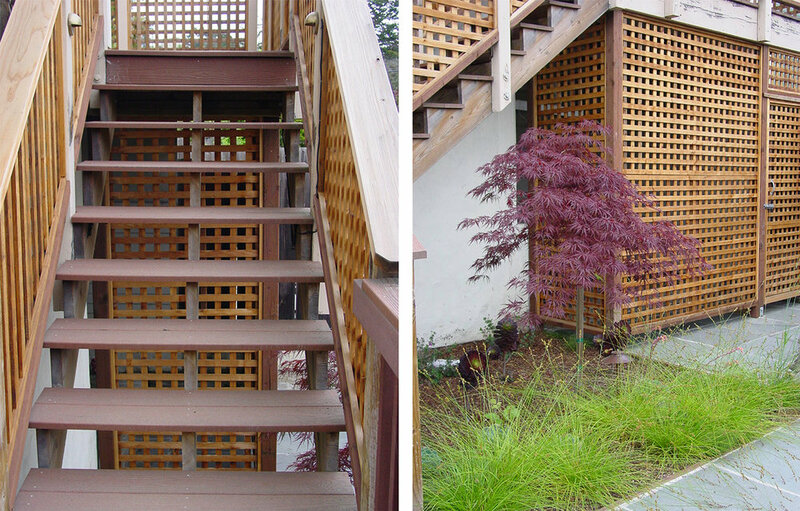 Custom lattice was added onto the underside of the deck to hide the large utility area. The existing deck and stairs were repaired and refurbished to improve it’s look and longevity. The clients were very happy with the end result which came in on time and budget just as the twin girls were born.